Swen Werner is currently part of State Street’s Digital Product Development and Innovation team responsible for designing new products, leveraging different emerging technologies, including distributed ledger technologies and engagement with industry partners to design industry-leading service and operating models. 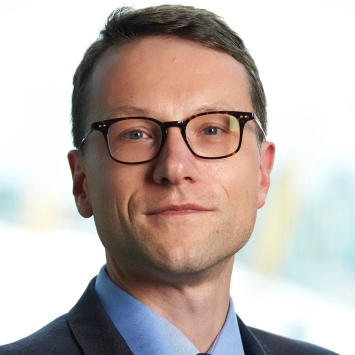 He has been working in the financial services industry for over 15 years and has held senior roles in Europe, the USA and Asia with JP Morgan, Deutsche Bank and Deutsche Boerse focusing on product management for custody, clearing and collateral management. Mr. Werner has and continues to be actively engaged in regulatory and industry developments affecting the securities services environment. He holds an Executive Master of Business Administration (EMBA) from Cass Business School in London.